So the wait is finally over as Oppo Reno is finally here. We have seen many leaks and rumours about the Reno. Now It has been officially released starting from China and is expected to hit the other countries soon. Now two variants of Reno has been launched in general; one is the standard one and one with the 10x zoom feature. But there was another surprise variant from the company, and that is the Oppo Reno 5G. Now take a look at the specs, the smartphone is packed with all the hardware equivalent to any flagship device out there. On the display front, we get a 6.6 inch AMOLED display with an aspect ratio of 19.5:9. As far as optics are concerned, we see three lenses on the rear in total. Firstly we have the primary 48MP Sony IMX586 sensor with f/1.7 aperture, then a 13MP periscope telephoto sensor with f/3.0 aperture (which gives the device 10x lossless zoom) and a pretty industry standard 8MP ultra-wide-angle sensor with f/2.2 aperture. On the front side on the rectangular popping piece, we get a 16MP front-facing lens with f/2.0 aperture. The popping out part also contains front and rear LED flash to help take night or dark indoor shots. We also get the in display fingerprint scanner with this device along with face unlock. Powering all this under the hood we have the latest Qualcomm Snapdragon 855 flagship processor. Now the difference between the standard variant and the 10x zoom variant lies with the presence of the headphone jack. The 10x variant does not have it. To back it all up, the company has placed in a 4,065 mAh non-removable battery along with Oppo’s signature VOOC 3.0 flash charging technology which comes with a mind-blowing 50W charging dock. It is expected to charge the device from 0 to 100 per cent within 40 minutes. When Will the Oppo Reno 5G Be Released? As of now nothing much has been revealed about the device but it would most probably be the Oppo Reno 10x zoom variant along with the Snapdragon x55 modem required for 5G connectivity. All the details regarding the device will be revealed on April 24th in Zurich, Switzerland. And Oppo has also signed a deal with the 5G spark of China, allowing 200 Reno 5G users to use the company’s network as the trial run before the final commercial launch happens. We would probably see a lot of Reno phone users post the commercial launch of Spark in China. To see the 5G variant in person, we have to wait till the Switzerland launch event. There could be some additional changes too for this device, but the 10x variant can be expected to be the closest equal to the Oppo Reno 5G variant. 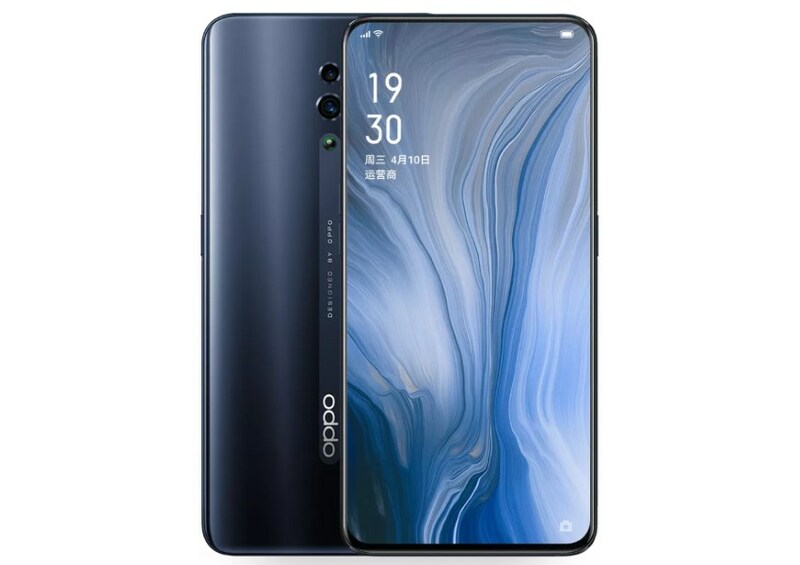 The pricing for the Oppo Reno at 2,999 yuan (around $446) for the standard version and 10x Zoom Edition 3,999 yuan (around $595) for the 10x Zoom Edition. However, the Oppo Reno 5G will be priced high than its 4G LTE 10x Zoom Edition as 5G chips come at the higher price than those of 4G. Verizon, AT&T etc US carriers are expected to offer Reno 5G. As of now, there are no words about the availability in the US.